UPDATED April 1st, 2019: Very good news to our readers! 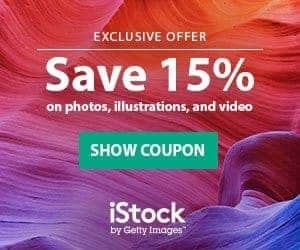 We have a special, limited-time iStock Promo Code for you, that gives you 15% off on EVERYTHING at iStock! Seize this limited-time deal and buy an annual subscription and/or larger credit packs to maximize your savings! Plus, you can take advantage of the credit packs discount in the long run too: iStock Credits never expire! All credit pack options are included in this offer, that it is valid for all customers! Buy them now and download great stock photos whenever you want! Grab this special iStock promo code before it's too late! As has been announced two weeks ago (you can still read the news below), iStock has changed its pricing basis over the last weekend. The new prices are in effect now, and if you had old credits left in your account, they were most likely converted at this stage. With the new pricing (click here to open them in a new window), credits have become pricier but also more valuable. All images in iStock are priced individually in credits for on demand buying, but now they are no longer priced according to size and resolution. The new pricing differentiates images by collection, be it Essential images (which are not exclusive to iStock) and the iStock exclusive collection called Signature. Those terms were introduced with the subscription offer in spring and are now being used across the board. We have got our hands on some neat iStock promo codes for you. You can save up to 15% on iStock subscriptions and credit packs, which makes it easier to spend money on their new pricing. Just make sure to copy the codes and then click on the redeem link. The base package contains 1 credit for $12 (the base price for individual credits), which buys you one Essential image. Further packages usually can be divided by 3 because that is the price in credits for Signature images at iStock. With 18 credits – priced at $170 – you could, therefore, download 18 Essential images or 6 Signature images, or anything in between, with over 21% off compared to base credit price. Check all the prices on their page! 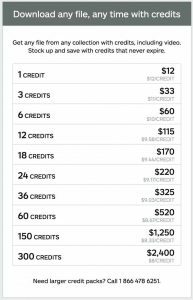 When you visit the pricing page at iStock, the credit packs list starts at 3 and finishes at 60 credits. But if you want to buy less or more credits, make sure to open the full list of packages available by clicking the “View all credit packs” button below the initial table, to find a comprehensive offer ranging from 1 to 300 credits. The discounts start steep with 8,5% on the 3 credit package compared to the base pack, therefore you should carefully consider if buying more at once will be a better deal for you. The largest pack available reduces credit price by around 35%. It's also worth noticing that in a further update iStock made their credits valid forever, as long as the customer logs in to their accounts once a year after purchase date. This means you can buy credits now and use them whenever you want. We certainly have an iStockphoto promo codes on the credit packs, with 15% off in all credits! The new iStock pricing is easy to compare with the main competitor, Shutterstock's offer: The minimum price is more affordable at iStock, as the 1 credit package comes for $12 while at Shutterstock the minimum purchase is $29 for two images. Then again, for larger needs, the 5 Image Pack at Shutterstock comes for $49, slightly less than $10 per image. To achieve that level of pricing, you would have to buy 18 credits at iStock for $175. Plus there is the question how many of the Signature collection images you will end up downloading as those images come at 3 times the base price of your package. 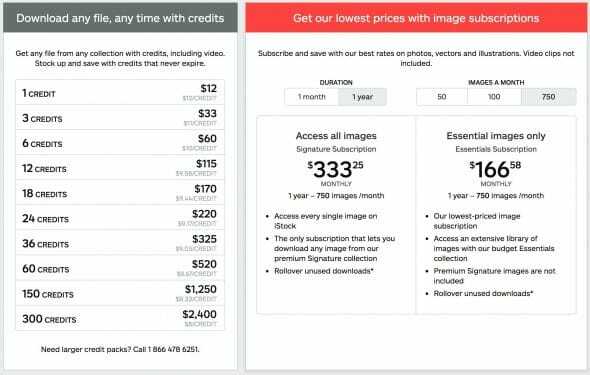 The subscription packages offered at iStock are showing a similar difference: The Essentials subscription comes at $166 in comparison to Shutterstock's $199 pricing (based on an annual subscription in both cases). In case you want to have access to iStock's Signature collection as well, you will have to choose the higher priced subscription for $333 a month. So in all cases, you are now having a choice to make: In some cases, iStock now definitely has a better price to offer – but if you want to get all of the iStock imagery, you will have to pay a certain surcharge compared to Shutterstock. The changes were announced on the 1st January 2019 and these are all the news about the changes before we posted the update. 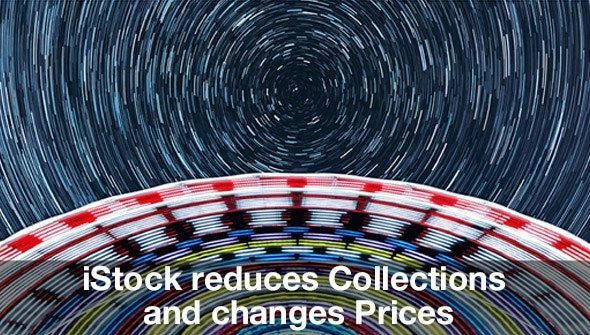 As microstock inventor and Getty Images subsidiary iStock has just announced, they are planning a complete overhaul of their collection, pricing and payment system. The key elements are to simplify the search and purchase experience for the customers. The system using “credits” which was introduced in 2002 and helped iStock in licensing images at small fees, will be renewed, existing balances will be changed to the new system around September 13, 2014. The new credit system iStock is to raise the value of the credits. To reflect this, existing customer balances will be changed from the old credits to the new credits with an exchange rate of 5:1 – as an effect you will see a reduction of your credit balance but the new credits will have a higher value when it comes to purchasing image licenses. In the new system, one credit will serve as the base price to license images whereas today the license price can reach anywhere from 2 to 150 credits, depending on collection and size of the image. The base price for the new credits will be $15 for the smallest packages. Larger packages will get a discount, lowering the price per credit down to $8. Though package size have not been announced, there has been a hint that the minimum sale will be a “one credit” package, basically allowing to buy single images without any leftovers in your account. Until now, the single image sale is only possible with direct payment which also contains a premium of up to 50% on the image price. After the reduction from seven to four collections last year, iStock is taking another step in simplifying their offer by now offering only two collections: They will be called “Essentials” and “Signature“, in line with the two subscription offers introduced earlier this year. The Essentials collection will mainly contain the imagery of contributors who are also distributing the same content through other popular microstock agencies. Whereas the new Signature collection will contain all the higher value content exclusive to iStock and the Getty Images family, including the former premium collections Signature+ and Vetta. Prices will be one new credit for each image in the Essentials collection and three new credits for Signature imagery. The Signature+ and Vetta imagery was priced at 30 or up to 150 credits in the past, those images will become available at a much lower price point in the future. Contrary to now, there will no longer be a size based pricing, customers can easily choose any size they need for their projects at the same price. There will also be a possibility to “upgrade” from small sizes to larger resolutions after the change (only for images licensed after the change, older downloads can only be downloaded at the size that was originally licensed). Those pricing levels will be the same for Vector illustrations. Video files will be priced at 6 credits (Essentials) and 18 credits (Signature/Vetta) in the future. All the mentioned changes are supposed to be applied at or shortly after September 13, 2014. iStock has announced that they will take their servers offline during that weekend to apply all the necessary changes. PS: If you are an iStock contributor – check out our coverage on MyStockPhoto. 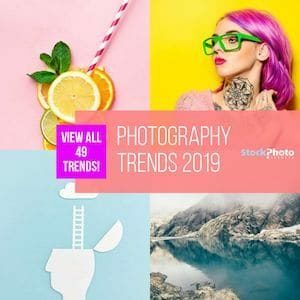 iStock is one of the top stock photo agencies in the industry, and the pioneer in the microstock model –selling royalty free photos online at low prices with minimum payment requirement–. They’re backed by Getty Images, and they’re well-known for their high curation level and extensive catalog that includes a huge collection of exclusive images. You can buy this photos on demand using credits, paying between $8 and $33 per image depending on the collection you choose and the credit pack you use. The lowest prices come with subscriptions: you have various plans to hire per month or per year, for access to the whole library or to budget images only, and they let you get awesome high quality photos for as little as $0,22 to $0,49 each. iStock is one agency definitely worth knowing and using, if you like quality, variety and affordability.